It is many years now since I got in contact with Santi products. It was easy to see that this was well thought out diving equipment. The precision in details was from the beginning far out the best on the market. During the years I have had the great opportunity to dive with most of the products and they have improved even more. It is always a joy to dive with equipment that put comfort, durability and precision together without compromises. As a proffesional diver I need to focus on the misson for the day. Santi products give me the freedom I need in my work. My first contact with Scuba Diving was at age 15 in the late 70´s. The sea and especially what to find below the surface has always been a great fascination. In 1995 I became a professional diver. For about ten years I was a dive shop owner. In 2000 I started to train and teach Technical diving. The Technical dive training gave me so many new tools how to teach out diving on all levels. 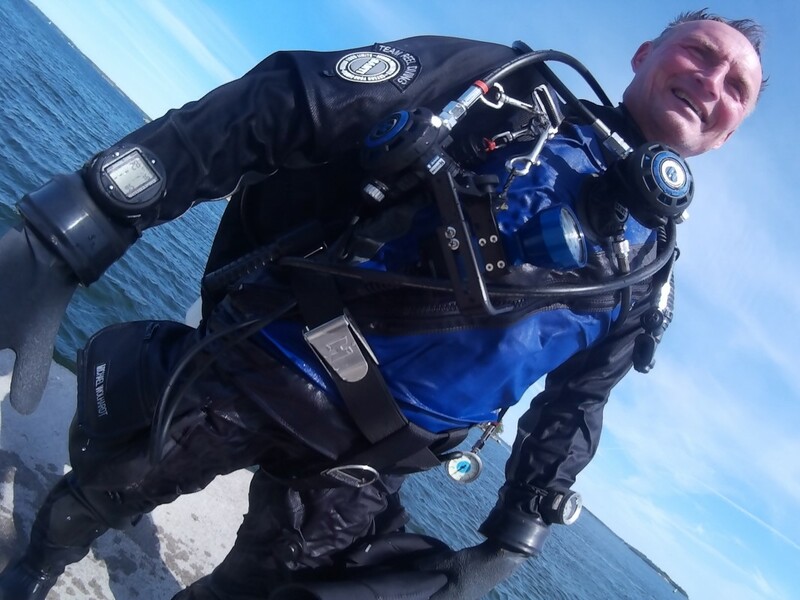 After some years as a Technical Instructor and Technical instructor Trainer I started the company SwedTech Diving. 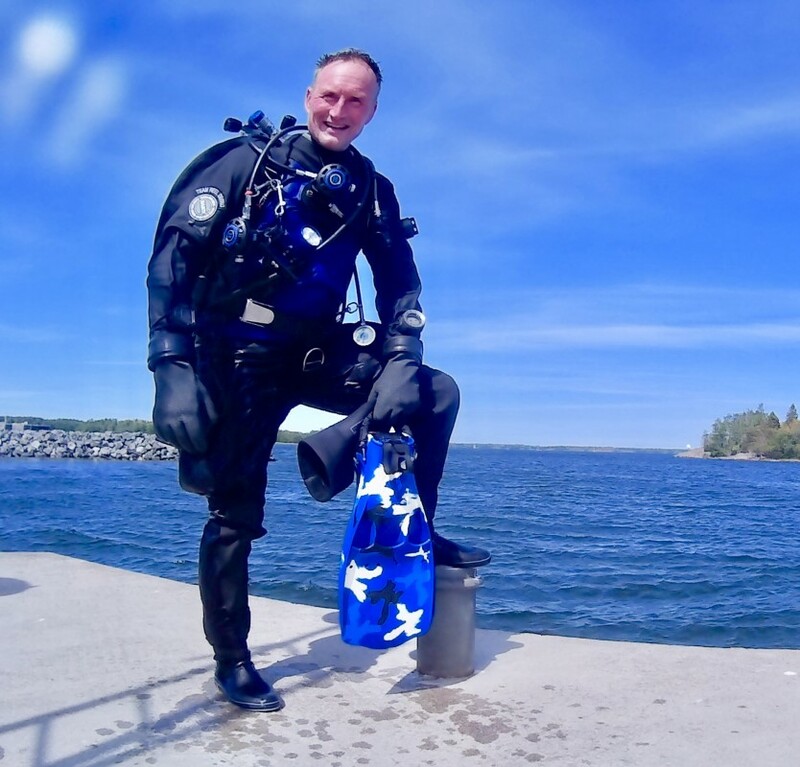 My aim was to build up a way of dive training that made the difficult stuff easy to teach. 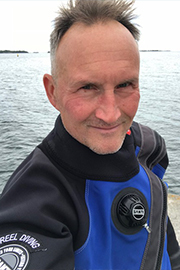 In 2008, 5 years after I started SwedTech Diving it was time to launch a new dive training oragnization. I can enjoy a nice and easy dive on a tropical reef once in a while but what really gets me going is wrecks. For the last 15 years focus has been on Technical wreck diving. Sharing all the experience I had the great opportunity to collect during the years as a Technical diver and wreck diver to my students is the best job in the world. My teaching and diving takes place where ever there is nice wreck diving. I love my wrecks all the way from the cold water in the north of Scandinavia to the wrecks in the tropics like Truk Lagoon.